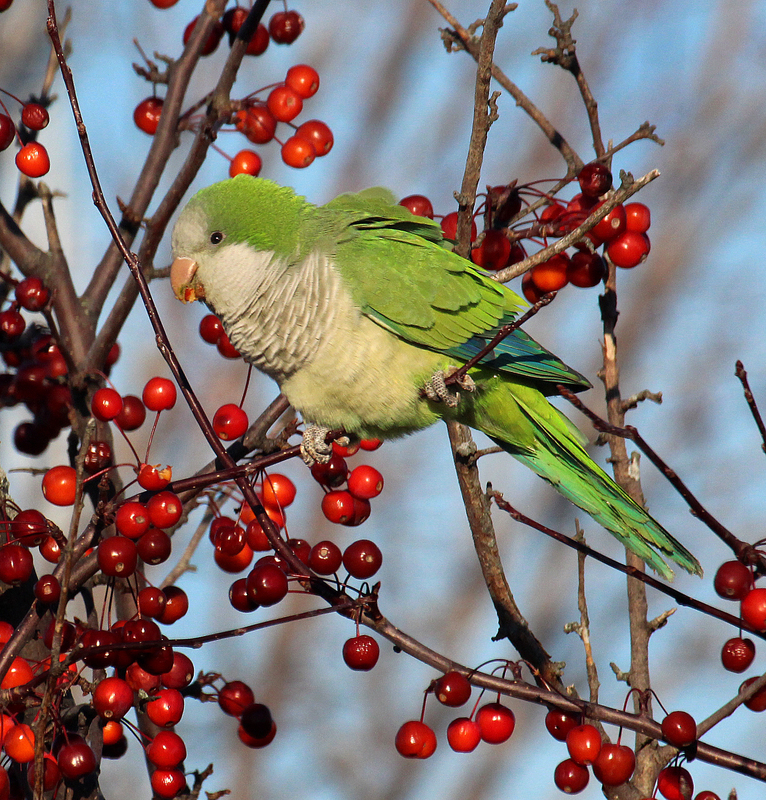 Photo by Chris Bosak A Monk Parakeet seen eating crab apples at Calf Pasture Beach in Norwalk on Sunday during the annual Christmas Bird Count. The annual Christmas Bird Count has started — officially kicking off Dec. 14. All throughout the U.S. and beyond, people will count birds to add numbers to a database going back to the year 1900. The Westport Circle, the count in which I participate, is happening tomorrow (Sunday, Dec. 16, 2017), so it’s off to bed early to prepare for a day of counting birds tomorrow. The weather is supposed to be perfect for such a count: sunny and relatively warm. Of course, I count birds along Long Island Sound, so I’m sure the wind will take care of the relatively warm temperatures and make it unpleasant. Oh well, I have participated in this count for about 15 years and faced everything from snow, sleet, rain, bitter cold temps and high winds. There have also been a few warm days thrown in. Tomorrow looks like a seasonably cold day with no precipitation. Perfect. This entry was posted in Christmas Bird Count by Chris Bosak. Bookmark the permalink.